West Senior Care coverage areas: Grayslake, Libertyville, Vernon Hills, Mettawa, Mundelein, Lake Zurich, Deerfield, Lincolnshire, Long Grove/ Kildeer, Barrington/Inverness, Hoffman Estates, Schaumburg, Mount Prospect, Arlington Heights, Buffalo Grove. North Shore Senior Home Care coverage areas: Waukegan, Lake Bluff, Lake Forest, Fort Sheridan, Highland Park, Highwood, Northbrook, Winnetka, Glencoe, Glenview, Hubbard Woods, Evanston, Lincolnwood. 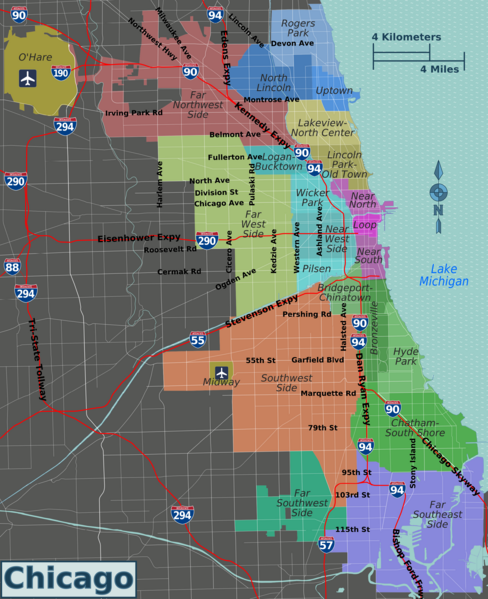 Chicago neighborhoods Senior Home Care areas: Edgewater, Lake View-North Center, Lincoln Park-Old Town, Near North, River North, Gold Coast, Loop, West Loop, Logan-Bucktown, Hyde Park.